Today’s summit is in Arizona, Baker Butte, near Payson AZ. We are in the village of Strawberry attending a wedding and I had a quick opportunity to do a quick SOTA summit and possibly get a summit to summit with my friend Adam who will be summiting a couple of peaks near where we were last weekend. We are staying at a cool little venue for the wedding as the party has taken over all the cabins here so it gives the family a chance to visit. I got up early this morning in what I think was 35 degree weather and went for a quick hike, mainly drive. The activation point was about a 15 drive + 15 minute walk up to the summit. At the top there is a fire lookout with a small residence. It was nice to be back up in the country that I’m more use to, thick with pine and soft dirt and pine needles. Setup was quick and I was up and running in about 10 minutes. There was a Michigan QSO contest going on so 20 was the band pretty busy. 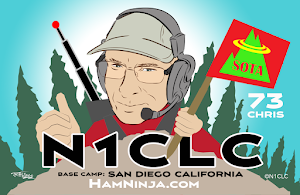 I made 22 contacts, most on 20m and a few on 40m including a couple of summit-to-summit contacts. I tried getting some VHF contacts on 520 but no joy. Kind of amazing given the field of view I had. Today’s mission was another Summits On The Air, activating W6/CT-003 - Mount San Antonio, AKA Mt. Baldy to people here in SOCAL. I was invited to join Adam Kimmerly and his mountain rescue team at the hut for an overnight and then the rest of the way to the summit. 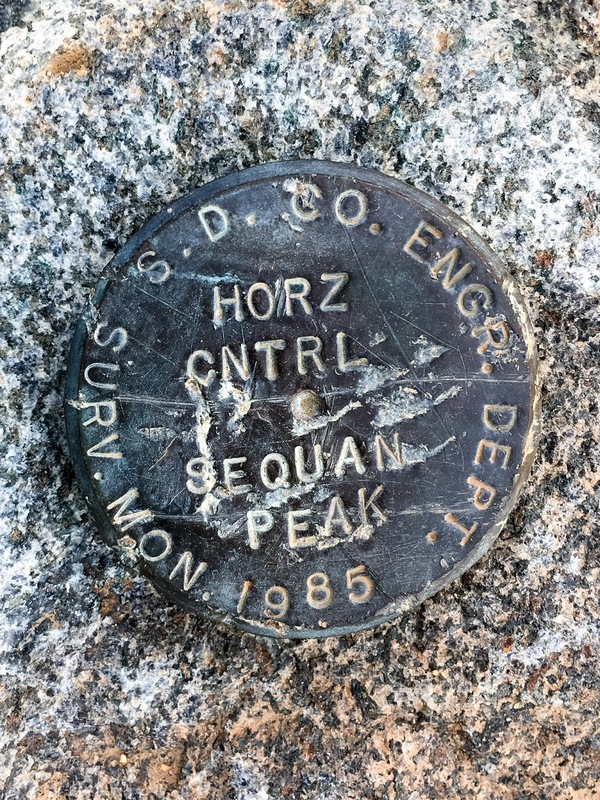 Adam and I launched from San Diego yesterday afternoon and hiked up the first two miles to the summit for an overnight at the Sierra Club San Antonio Ski Hut, then another 2 miles to summit at about noon today. 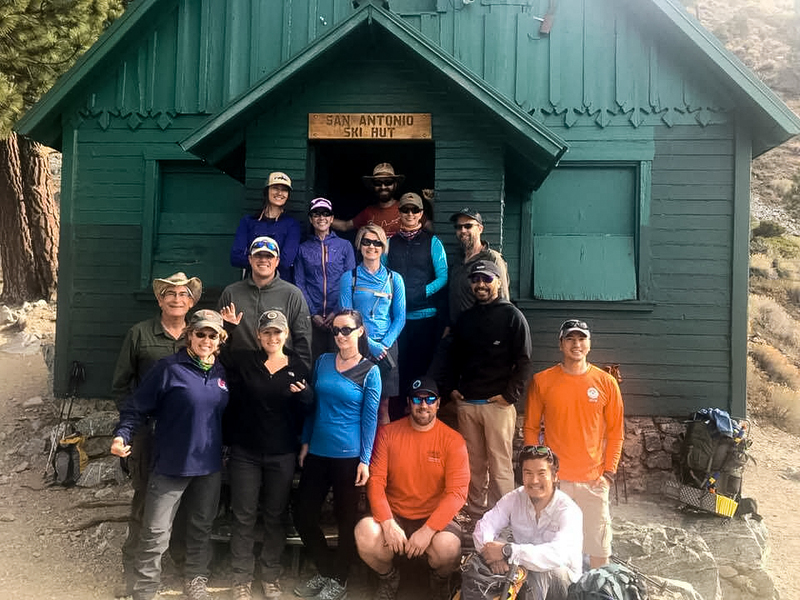 This trip was a real treat, as its very difficult to be hosted at the Sierra Club’s hut. As a bonus, the crew fixed a huge dinner and breakfast. Our full route covered over 4,000 feet of elevation gain and 10.5 miles of hiking over two days, with 8+ of it done today. 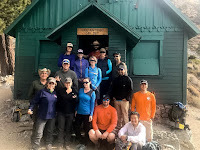 I really enjoyed hanging with the San Diego Mountain Rescue Team, a great bunch of people that dedicate a lot of their personal time to volunteer for tough training and then help other people who are lost or gotten into trouble on the mountain. Yes, volunteer. Today’s objective was W6/CT-007 - Tahquitz Peak, about a 2 hour drive north of my pad. 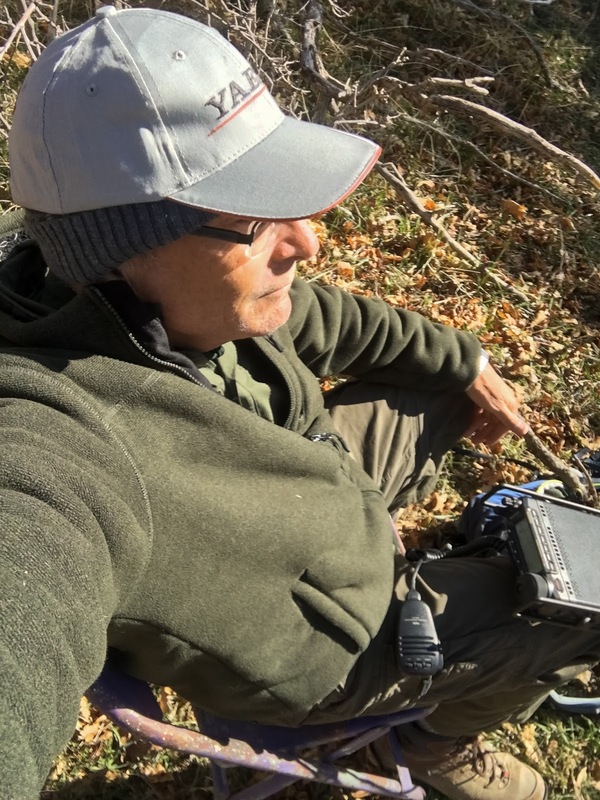 I joined another ham, and SOTA operator, Adam, KJ6HOT. We had planned on meeting Nate N0PCL. In fact, this hole adventure was sorta his idea. Jeanette decided to join me and Adam picked up his parents on the way. Nate, however, was down with a bad back. We popped up at 5AM and were out the door by 5:30. The drive was definitely worth it. The hike was beautiful, with a good 2,200 foot climb over 4 miles. The views at the top were awesome. Once we settled in, Adam and I setup our rigs and went to work. 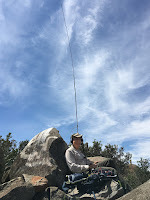 Adam was using a mag-loop antenna he built out of tent poles and it worked pretty well. I’m not positive but my antenna didn’t seem too optimal. I wished I had brought the packtenna, it would have been easy to setup with very little compromise. All in all I got a good set of contacts. Adam setup a small amp for his HT and an antenna he made and was able to make it all the way to Yuma AZ! I pulled out my roll-up jpole and contacted a guy in Oceanside. OK, Adam wins that one hands down but I did have fun trying out digital mode FM with the ham in Oceanside. The sound quality was fantastic, like going from 80s TV to HD. Thanks Yaesu! Today was a quick activation to W6/CT-157 - Black Mountain. We dropped Maria, our exchange student from Spain, at the the school to catch the bus to LA with the rest of the students as they head home. When I got back, I loaded up and headed out for a quick activation to a spot I’ve never been. The drive to the IAF was pretty. Like I’ve said before, one of the things that I like about this hobby is that it pulls me into areas around here that I would never have reason to go. The mountain is behind Ramona I passed some small wineries, orchards, and some little ranches. The area was green, most likely due to the recent rains. Today’s destination was W6/SC-203 - Sycuan Peak. It’s a beautiful day and the route was a short 2 mi out and back trip but it was a pretty good incline. Nothing super difficult, but it’s always harder when you have 35 lbs on your back. My original plan was to hit Lyons Peak because it had not been activated yet. This was strange since it has a service road all the way to the top. I was guessing there might be other issues, so I setup an alternate flight plan for Sycuan Peak, where the start is about 10 minute drive from the bottom of Lyons. I’m glad I did because the road entering the area was blocked off and had warnings in nice big letters that you need to arrange access, private road, bla bla bla. I had sort of a late start and given it’s Easter Sunday, Jeanette wanted to serve dinner earlier than normal 8 or 9PM. Notice the different spelling of Sycuan on the peak marker below. The hike itself is via an old washed out road. For the most part, it was pretty pedestrian. There is a bit of moisture in the air so I wasn’t able to see the ocean from the top but it had some nice views. I’m inspired by some other SOTA guys that VLOG their trips, so I’m trying to shoot a little more video but forgot to get some shots of the contacts... next time.